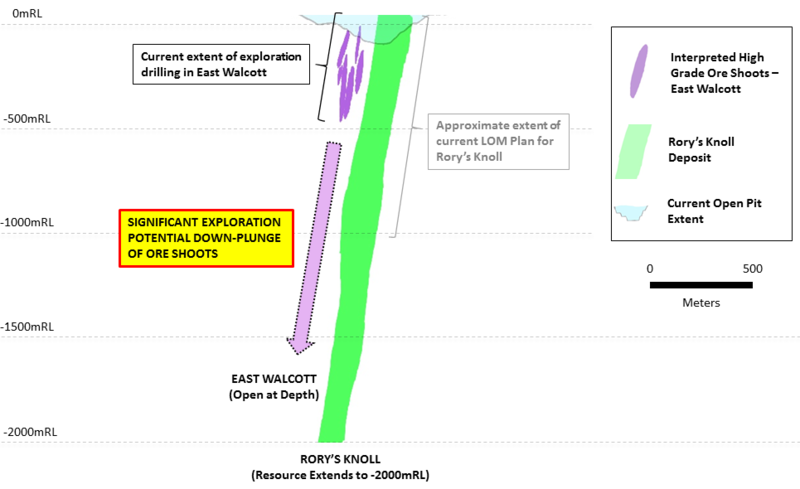 The East Walcott zone is located immediately adjacent to the main Rory’s Knoll ore body at the Aurora Gold Mine (“Aurora”) and is currently being mined in the Rory’s Knoll open pit. Underground development at Aurora, which is due to commence in the fourth quarter of 2018, is anticipated to access the East Walcott zone toward the end of 2019. Given the limited amount of drilling at depth at East Walcott, the current drill program, consisting of 12 diamond drill holes for a total of 4,500 metres, was focused on gaining a better understanding of the geological controls, dimensions and continuity of higher grade mineralization at East Walcott to assist with underground planning efforts. Assay results from the first five holes have demonstrated that higher grade zones occur within shoots that are steeply plunging to the northwest and that coincide with fold hinges (see Figure 1 & Figure 2 for a long-section and plan map). 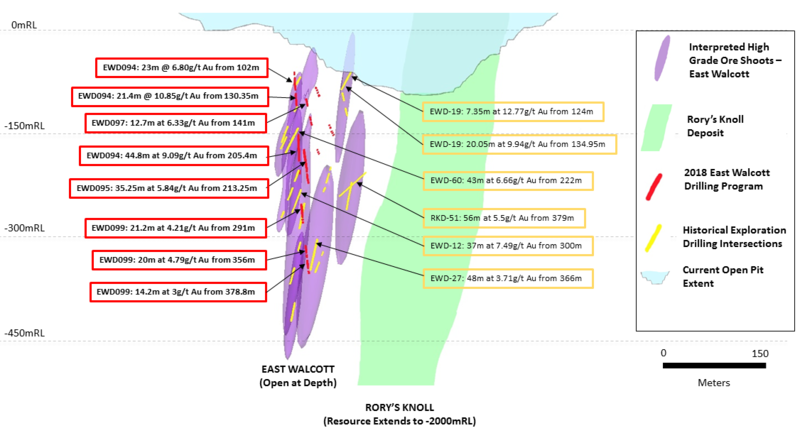 Geologically this is analogous to Rory’s Knoll which, in conjunction with the excellent vertical continuity of higher grade zones demonstrated by this current drill program as well as historic drilling, bodes favourably for the potential to grow reserves and resources at depth at East Walcott. For reference, the current underground reserve at East Walcott is 78,000 ounces at an average grade of 2.90g/t while the current resource does not extend below the -450 mRL elevation (compared to the resource at Rory’s Knoll which extends to the -2000 mRL elevation; see Figure 3). A complete list of drill results from the five holes assayed at East Walcott is provided at the end of this release. The Company is currently utilizing the services of two independent laboratories, Bureau Veritas and MS Analytical. Both laboratories have facilities in Georgetown, Guyana. This news release and its contents have been prepared under the supervision of Mr. Daniel Noone (P.Geo), a qualified person within the meaning of National Instrument 43-101. Further details on reserves and resources for the Aurora Gold Mine can be found in the feasibility study report titled “Independent Technical Report Updated Feasibility Study, Aurora Gold Mine Project” with an effective date of December 31, 2016, and the subsequent reserve and resource update detailed in the press release issued on February 20, 2018, both of which are available on the Company’s website www.guygold.com and at www.sedar.com. 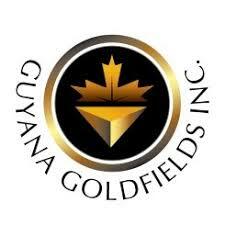 Guyana Goldfields Inc. is also pleased to report that from July 1, 2018, to August 31, 2018, the Company produced 30,200 ounces of gold. Ore processed during this period averaged 6,900 tonnes per day at an average head grade of 2.30 g/t Au with gold recoveries averaging 94%.